Whether you're looking for someone to manage a single-family residence, apartment building, commercial property, or homeowners' association, Landmark Rentals offers the expertise required. Our property management can make owning (and profiting from!) rental properties a hassle-free experience. With over 16 years of combined experience, we can handle all aspects of running an income property, from finding and screening tenants to maintaining the property, collecting rent, and handling any issues that arise. We are prepared to take responsibility for your property---unless you'd prefer to handle certain things yourself. 1. Setting the right rental rates. 2. Collecting monthly rent payments on time. 3. Marketing and advertising your property. 4. Finding and managing the right tenants. 6. Ensuring that you're in compliance with housing regulations and property laws. 7. Enabling you to invest in geographically distant properties. 8. Maximizing the profitability of your time. 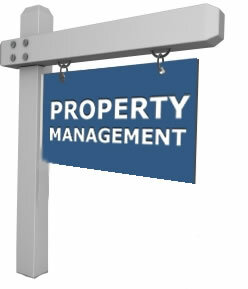 Professional property managers can save you valuable time and energy. Contact us today to discuss our rates and services.